Third party: Please use the National Student Clearinghouse to verify student enrollment/degree confirmation. Click on National Student Clearinghouse Enrollment Verification in the center column. This option allows a student to print a certificate of enrollment, view enrollment information, view electronic notification, deferment forms, view a list of your lenders and link to a real-time student loan information detail. You may request that Admissions fill out the form. Bring a legally issued picture ID (state driver’s license or ID) along with the form to Admissions. Make sure you fill out your portion of the form. Below is information on Directory Information and release of your personal information. For more detailed information regarding FERPA (the Family Educational Right and Privacy Act of 1974) related to student, parent and staff/faculty, you may go to the Federal Government's website. If you would like to give permission to a family member or another third party access to your information, you can download and complete the FERPA (permission to release educational records) form. The student can sign the form in person in front of an RRCC Student Records staff member. The student can have the form notarized by a notary public and the original returned to Student Records. If you do not want the college to release directory information about you without your specific consent, sign a directory restriction form in Student Records or print out here. Your directory restriction for non-disclosure will remain in effect until you cancel the request. You may also find information in the Red Rocks Student Handbook or contact Jen Broadwater or303.914.6254. The Family Educational Rights and Privacy Act (FERPA) affords students certain rights with respect to their education records. FERPA rights are afforded to the students at the time of admission. 1) The right to inspect and review the student's education records within 45 days of the day Red Rocks Community College receives a request for access. A student should submit to the Student Records Office, a written request that identifies the record(s) the student wishes to inspect. The Coordinator will make arrangements for access and notify the student of the time and place where the records may be inspected. If the records are not maintained by the Coordinator, they shall advise the student of the correct official to whom the request should be addressed. 2) The right to request the amendment of the student’s education records that the student believes are inaccurate, misleading, or otherwise in violation of the student’s privacy rights. A student who wishes to ask Red Rocks Community College to amend a record should write the Coordinator who will notify the college official responsible for the record, clearly identify the part of the record the student wants changed, and specify why it should be changed. If the College decides not to amend the record as requested, the College will notify the student in writing of the decision and the student’s right to a hearing regarding the request for amendment using the Student Grievance Procedure SP 4-31. Additional information regarding the hearing procedures will be provided to the student when notified of the right to a hearing. 3) The right to provide written consent before Red Rocks Community College discloses personally identifiable information from the student's education records, except to the extent that FERPA authorizes disclosure without consent. One exception which permits disclosure without consent is disclosure to College officials with legitimate educational interests. A College official is a person employed by the College in an administrative, supervisory, academic or research or support staff position (including law enforcement unit personnel and health staff); a person or company with whom the College has contracted as its agent to provide a service instead of using college employees or officials (such as an attorney, auditor, or collection agent); a person serving on the College Board; or a student serving on an official committee, such as a disciplinary or grievance committee, or assisting another school official in performing his or her tasks. Red Rocks Community College has designated the National Student Clearinghouse as a College official. A College official has a legitimate educational interest if the official needs to review an education record in order to fulfill his or her professional responsibilities for the College. Upon request, the College discloses education records, without a student's consent, to officials of another school, in which a student seeks or intends to enroll, or after enrollment. The college may share educational records to parents in the following circumstances: for a student who is dependent under I.R.S. tax code; a student under 21 years old who has violated a law or the schools rules or policies governing alcohol or substance abuse; and when the information is needed to protect the health or safety of the student or other individuals in an emergency. As of January 3, 2012, the U.S. Department of Education's FERPA regulations expand the circumstances under which your education records and personally identifiable information (PII) contained in such records —including your Social Security Number, grades, or other private information — may be accessed without your consent. First, the U.S. Comptroller General, the U.S. Attorney General, the U.S. Secretary of Education, or state and local education authorities ("Federal and State Authorities") may allow access to your records and PII without your consent to any third party designated by a Federal or State Authority to evaluate a federal- or state-supported education program. The evaluation may relate to any program that is "principally engaged in the provision of education," such as early childhood education and job training, as well as any program that is administered by an education agency or institution. Second, Federal and State Authorities may allow access to your education records and PII without your consent to researchers performing certain types of studies, in certain cases even when we object to or do not request such research. Federal and State Authorities must obtain certain use-restriction and data security promises from the entities that they authorize to receive your PII, but the Authorities need not maintain direct control over such entities. In addition, in connection with Statewide Longitudinal Data Systems, State Authorities may collect, compile, permanently retain, and share without your consent PII from your education records, and they may track your participation in education and other programs by linking such PII to other personal information about you that they obtain from other Federal or State data sources, including workforce development, unemployment insurance, child welfare, juvenile justice, military service, and migrant student records systems. And if participating in an officially recognized activity or sport, height, weight, and high school attended. Grades are posted to your transcripts after the term is completed. If a grade is missing first contact the instructor. If that doesn’t help, then contact Instructional Services. For information on grades, repeating a course, academic renewal, or our grade appeal procedure, click here. We do not mail end-of-term grades to your home. You can view your grades and your unofficial transcript using your student portal access through “the Rock”. Phi Theta Kappa (PTK) designation is located on the top left of your transcript. This should begin showing from the semester of your initiation. A PTK sticker is also attached to your diploma at the time of graduation. Earned, for all credits, a cumulative GPA of 3.85 (or higher) in your graduating term. All Honors List graduates participating in the ceremony are eligible for the medallion. Taken at least 15 credits at RRCC for a degree and at least 50% of required coursework for a certificate at RRCC. Completed requirements for any degree. Completed the requirements for any certificate containing at least thirty credits or more. Completed and submitted a graduation application by the specified due date. If you do qualify, please notify Student Records. Medallions are available at Student Records or can be picked up at the Rehearsal and can be worn at the ceremony. If you want to change your name, address, phone number, major area of study, or need to correct information such as your social security number or birth date, please complete the process below. NOTE: If you have ever been an RRCC employee (this includes both student work study and hourly) your name and social security number changes must be processed through Human Resources. Address changes should be processed in Admissions and Human Resources. Return the demographic change form to Student Records or Admissions. Please be sure to include the proper documentation to verify the need for change. If you plan on making these changes in person, please bring a government issued photo ID or RRCC student ID card. Without this, we cannot access your information. Name Change – government issued photo ID (popular forms of ID are driver’s license or passport or legal paperwork for the name change). NOTE: You must have a social security card with your new name if you are changing this in Human Resources. Social Security Change – government issued photo ID or RRCC student ID and your social security card. Date of Birth Correction – government issued photo ID showing your birth date or RRCC student ID and your Birth Certificate. Email - student.records@rrcc.edu from your student issued email account and request a change, be sure to include the documentation. Also include your student ID number as well. In person – Go to the Admissions Office or the Arvada Campus. You will need to bring your government issued photo ID or RRCC student ID for verification. Email – You can email admissions@rrcc.edu from your student issued email account and request a change to your address. You will need to include your student ID number as well. Change of Degree Program- Changing your degree program could affect your veterans or financial aid funding. Please notify them of any changes. You have three options. If you are pursuing a degree or certificate and wish previous college credits to be considered for transfer, submit official transcript(s) to Student Records no later than the semester preceding graduation. Official transcripts may be mailed directly from your previous college(s), emailed from your college or they may be hand carried in a sealed envelope. If you open the envelope it will be considered unofficial. Note: Consult Prior Learning Assessment for information on alternate forms of learning that might be eligible as college credit. There is A LOT to know about this process. Please see the information below to get an idea of what to expect. For full details on our evaluation policy and what RRCC can and cannot accept, please see our Transfer Credit Policy information sheet. It is up to the student to select an appropriate evaluation service and to pay whatever fees associated with that evaluation. Costs will vary by service and type of evaluation offered. Red Rocks Community College requires a “course-by-course” or “detailed” evaluation. Credit recommendations do not guarantee acceptance of credits by RRCC. If transcripts are being delivered in person, they must still be in the sealed envelope from the evaluation service. Transcripts for first time students to RRCC will have their transcript evaluated within 30 days of receipt. Credits will be transferred based on the Degree/Certificate you are pursuing. If you change your degree program, be sure to let us know. We will then conduct another evaluation. Note: We cannot remove credits that have already been posted. We will only bring in credits that are applicable to the degree/certificate program you are pursuing. Once the transfer evaluation is complete, you can review the results by accessing your unofficial transcript online. If there are additional classes that were not brought in and you would like a re-evaluation, please submit your transfer credit re-evaluation form below. There are a few ways to fulfill pre-requisite requirements at RRCC. You can take the take the placement test. These directions are for ordering Red Rocks transcripts only. 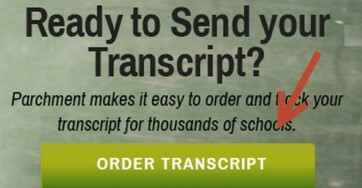 See "Transfer Credit Evaluation" for directions on how to order transcripts from another college. Official - This transcript is printed on official paper with the Registrar’s signature. The transcript is placed in a sealed envelope and is considered official as long as the envelope is not opened. This is sometimes called “sealed”. Some colleges will accept a hand carried “sealed” (unopened) copy. Other colleges will only accept transcripts sent directly from the previous college. The e-transcript is also considered official by many colleges. Check with your receiving college to make sure they will accept the e-transcript. Both this copy and the “unofficial" copy printed on official transcript paper will have a charge. Unofficial - This transcript can be printed one of two ways. Printed on official paper with the Registrar’s signature. If the transcript is left in an open envelope it is considered “unofficial”. Many employers and scholarships will accept this copy. This copy will have a charge. Printed on white paper, your unofficial transcript is accessed through your RRCC student-account on the web. This copy has a slightly different format and information. You can print this on any printer. There is no charge for this copy. There are several ways you can order an official transcript from RRCC. Students are encouraged to order their transcripts through Parchment. Current students can order a transcript through their student account on the RRCC portal. When you click on “Request Official Transcript” you will be taken to the Parchment order screen. Your information from your RRCC account will upload into Parchment to create a permanent account. Previous students can click on the green Parchment icon below to create a Parchment account and order a transcript. Walk-in students: We print transcripts at the Lakewood campus. Students who come in to pick their transcript must present a valid photo ID. Per FERPA regulations, transcripts can only be released directly to the Student. Paper Transcript Request Form - Please be sure to sign and date the form before returning it. Electronic signatures are not accepted. The form can be faxed, mailed, or hand delivered. Forms need to be sent directly to the Cashiers Office (contact information is on the Request form). ALWAYS check with the receiving college to see which copy they will accept (electronic, official, unofficial). Please allow at least one week for processing. 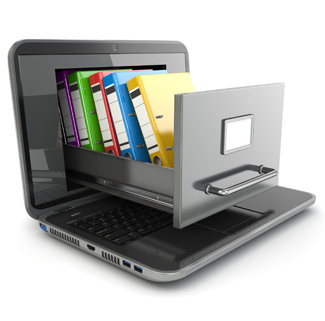 Electronic transcript requests through Parchment are normally processed the same day. Electronic transcript requests can only be ordered through Parchment, not through RRCC. You may still order your transcript if you have forgotten your student ID number. Make sure you have listed the name you used while at RRCC, your birth year, a phone number, and other required information. Make sure your contact information is clearly written. Transcript requests that are processed in-office are completed during regular business hours. Requests made during holidays and weekends will be processed during the next business day. *Please note that effective January 3, 2019, the cost for transcripts has changed. $ 2.00 - Electronic delivery (fastest). paper and sent through USPS. $ 25.00 - Additional Fee for Overnight/Fed Ex paper delivery in U.S.
$ 5.00 - Additional Fee for Paper delivery outside of the United States (Including Canada). Transcript will be printed on security paper and sent through USPS. $ 4.50 - Pick up transcript in person at the school. $ 4.50 - School Attachment required and requesting to be mailed USPS Standard. $ 5.00 - School Attachment required and requesting to be mailed USPS International. $ 25.00 - School Attachment required and requesting to be mailed Fed Ex Overnight. $ 10.00 – Paper transcripts requested by a Third Party (learning institutions, businesses, law firms, etc.) must be accompanied by a current Release of Information form completed by the student. • Transcripts must be paid by credit card at the time of the order. • Parchment accepts Visa, MasterCard and Discover. • Your card will be charged when the transcript order has been sent. is your new student portal. Use it to access your registration tools, schedule, financial aid information and lots more.